Accessories chain Claire’s is reported to be considering closing some of its UK stores. The Press Association said the High Street chain was talking to restructuring firms about “a number of options”. The chain – which offers ear piercing as well as cheap jewellery – is aimed at teenagers and tweens – 8 to 12-year-olds. 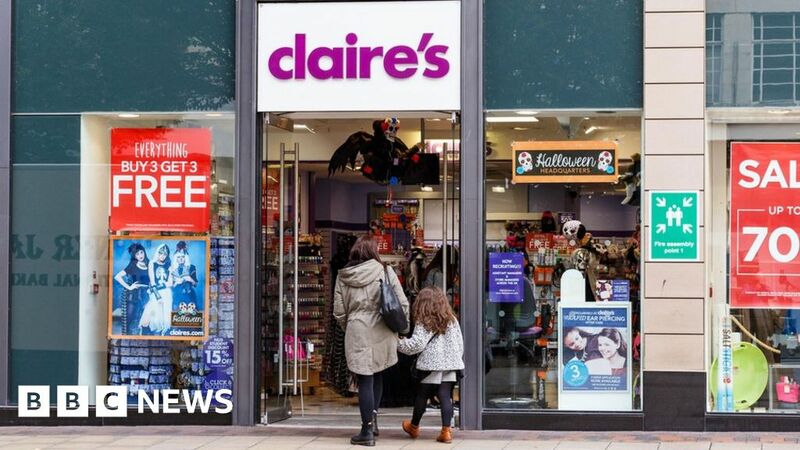 Claire’s is the latest retailer to be hit by the tough High Street conditions, which have also sparked the collapse of Maplin and Toys R Us. House of Fraser fell into administration before being bought by Sports Direct, while stores such as Debenhams, New Look and Homebase have had to close dozens of outlets in an attempt to remain profitable.